In Gas Treatment on Monday January 29, 2018. As part of two industrial power plants in Argentina, Eltacon has delivered several Balance of Plant (BoP) equipment. The power plants are Las Palmas and San Pedro in the cities of Zarate and San Pedro, Argentina. The power is generated by multiple fuel gas fired SGT-800 turbines. The total power output of the plants will be around 690MW. Eltacon Engineering has delivered several different units to ensure the correct operation of the turbines. The delivered units contain Gas Receiving Stations, consisting of fuel gas pre-filtration, a pressure reduction stage and electrical heaters. The purpose of this unit is to provide fuel gas to the turbine at the correct pressure and temperature required for full-load operation. Just upstream each turbine a two-stage fuel gas coalescer filter will be installed for filtration of mechanical impurities and removal of liquid content (water and hydrocarbons). As part of the BoP, Eltacon also delivered project specific Air Compressor Units. The filtered and dry air will be used to purge the turbine in a sustainable and safely manner. 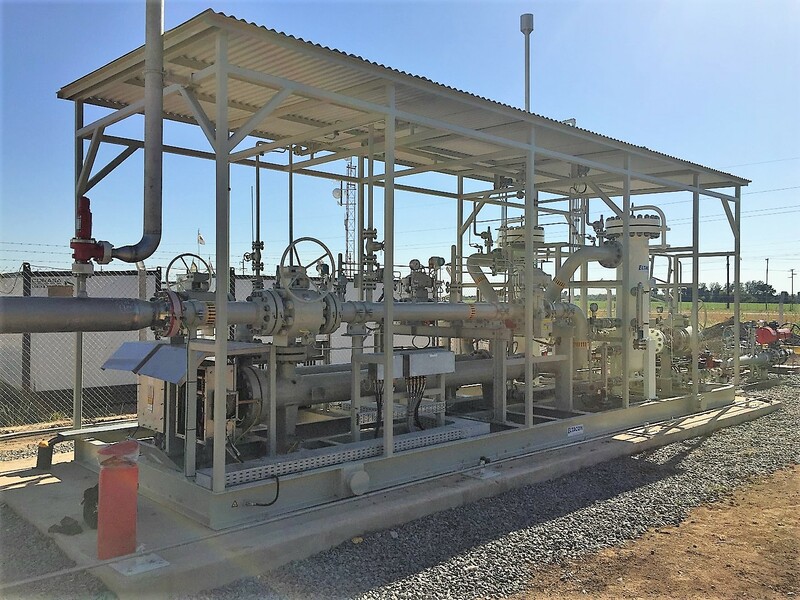 The units are installed and commissioned at site in Argentina and ready for operation. Copyright 2017 - Eltacon Engineering B.V.